Dermaplaning is a physical exfoliation procedure that utilizes a sterile, surgical scalpel to gently remove the top-most layer of dead skin along with fine, vellus hair, commonly known as peach fuzz. Unlike terminal hairs, vellus hair does not grow back thicker or darker. The procedure is safe and can be performed in under an hour. It can be done monthly as a stand alone treatment or in conjunction with other procedures such as Rejuvapen and chemical peels. 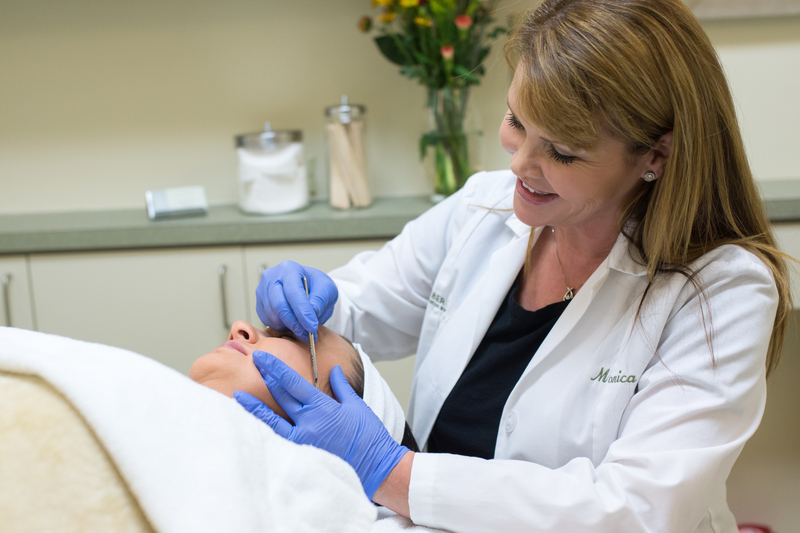 Click here to schedule a no-cost consultation with our licensed medical aesthetician today to determine if dermaplaning is right for you. There is no downtime to the dermaplane procedure. Patient who combine dermaplaning with another procedure will need to discuss expected downtime with the aesthetician.